A ring is the perfect way to commemorate an anniversary and your many years of love and wedded devotion. While some couples purchase an anniversary ring to exchange for a vow renewal ceremony, an anniversary ring doesn’t have to include a ceremony… the ring alone is a reminder of your commitment throughout the years. But what ring should you select for an anniversary? 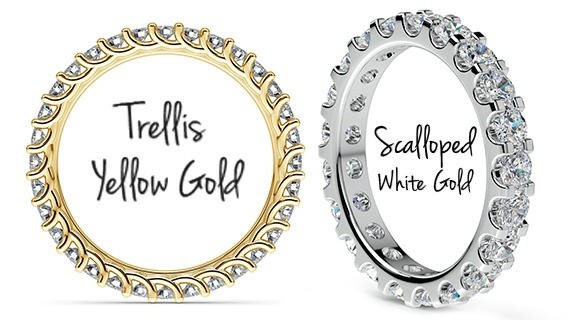 Should it look like a wedding band or have an entirely different design? While many choose the traditional “diamond anniversary band” with a diamond symbolizing each year of marriage, an anniversary ring can be whatever you wish. Unlike engagement rings and wedding bands, there is no set tradition for how to wear an anniversary ring. Anniversary bands can be worn on either hand: on the right, as a separate piece of jewelry; or on the left, with or without the wedding set. Some may use an anniversary as an opportunity to replace or “upgrade” the original engagement or wedding ring, while others may where them interchangeably. If the anniversary band is thin, you may also choose to stack your rings on the same finger: engagement, wedding, and anniversary (even promise ring, if you have one!). If so, you may want to choose ring design styles that complement each other, or go for completely different styles—just be sure not to stack up rings that could overwhelm each other. Marriage—and the vows of the union—are meant to be everlasting. Symbolize and celebrate a lifetime commitment with an eternity ring. Eternity rings are the original anniversary ring, popularized by De Beers in the 1960s as truly stunning statement of love and devotion after many years of marriage. These rings were often given as an “upgraded” version of the original engagement or wedding ring, featuring a seamless line of diamonds around the band of the ring and offering outstanding brilliance. 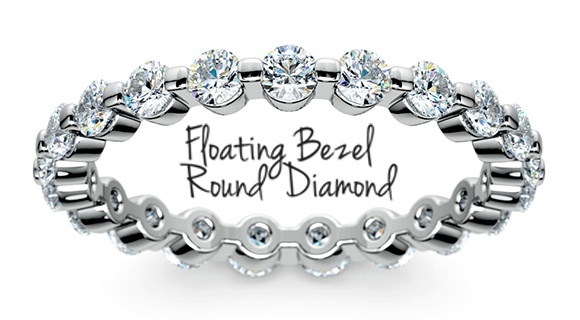 Diamonds in eternity rings are most commonly set low in pave or channel settings to best protect the smaller stones. However, there are plenty of setting options. 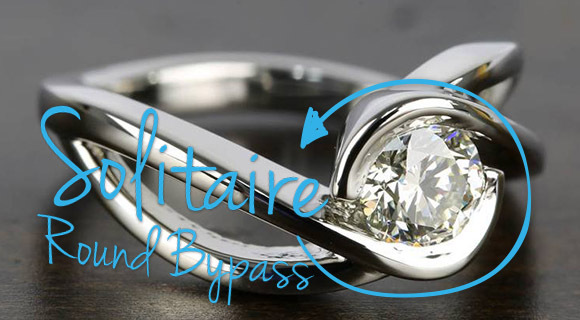 This setting places the diamonds low in the band, protecting small gems and giving the ring that “seamless” look. These settings work well for nearly any diamond shape. These settings offer a very modern look, with metal completely encircling the diamond at the girdle (bezel) or pavilion (prong). Most commonly used for round brilliant diamonds. 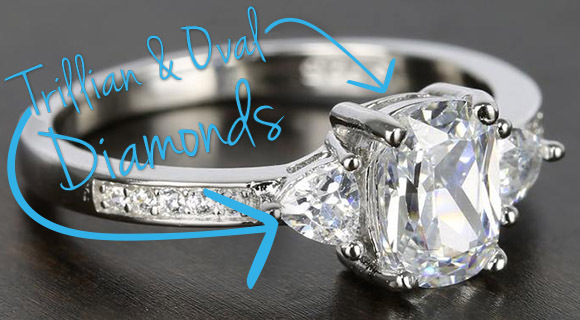 This setting has the most flexibility for style (such as the trellis or scallop prong settings), as well for diamond shape, as prongs can accommodate more unique shapes, like the heart shape. Anniversary eternity rings can also feature a mixture of diamonds and gemstones, which can represent your birth month, wedding month, or any other color significant to your relationship. The three cornerstones of marriage: friendship, love, and fidelity. You as an individual, your relationship with your significant other, and your entire family. 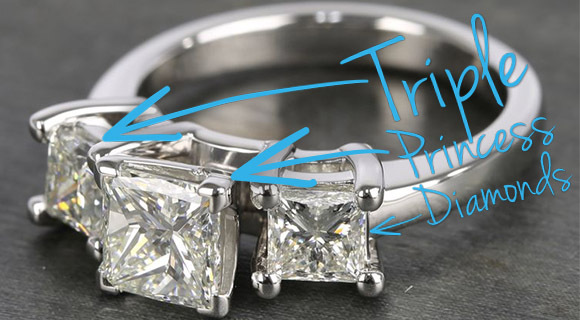 When choosing a three-stone anniversary ring, consider proportion, placement, and shape. A large center stone with two side stones will look like an engagement ring; it could even be a replacement for an engagement ring, especially if the new ring has a larger carat diamond. A ring with smaller diamonds of equal size, however, is less likely to compete with a solitaire engagement ring, and is better suited to be worn with an engagement and wedding ring in the popular “stacking” style. 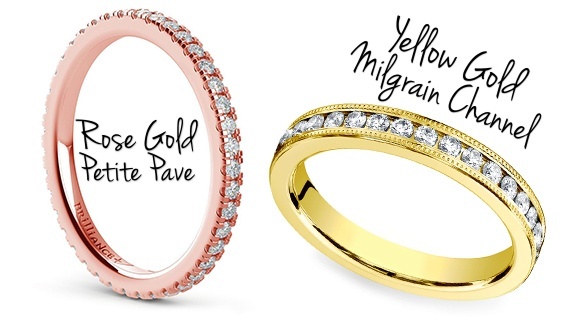 If you’re planning on wearing your anniversary ring on another hand, then either style will do! Lastly, consider the diamond shape. Round diamonds are the most common choice for engagement rings, so you may want your new ring to be a different style. Treat her like royalty with a modern princess cut diamond anniversary ring, or indulge in some romance with the heart diamond—both make great choices for an anniversary gift. An anniversary isn’t just about celebrating the many years of marriage gone by, it’s also about celebrating what’s yet to come—and what better way to honor that than with new traditions? Buy your spouse a loose or solitaire diamond jewelry for every decade, and eventually bring them all together in a custom setting. Or you can buy separate rings to celebrate those milestone anniversaries. Look for thin bands paired with petite diamonds, rings with gemstones or mixed metals, or bands with etched details or personal engravings. Each ring has a special meaning, and can be worn in any combination. Each ring represents a building block of marriage—accumulated over years of love, tears and joy—and together they symbolize the decades of your life together. Every anniversary is a celebration of your love, and an anniversary ring is the perfect way to commemorate the most momentous milestones of your lives as a married couple. Your anniversary ring is an outward symbol of the beautiful life you built on love, trust, honor and longstanding commitment…so display your new ring with faithful Brilliance!